Q: What is Our Science Fair? Our Science Fair is a free easy-to-use online tool that helps you put together a fantastic science fair event for your school. When you create an Our Science Fair account for your school, you get a free website that is all about your school's science fair. The website will have an address (URL) such as http://HillValleyElementary.oursciencefair.com, and it will include several professionally designed, but customizable pages. It has a home page is where you can publish general information about your science fair, such as date, time, requirements, volunteering information, etc. The website also includes a registration page for students and parents to enter a project for your science fair, an order form for them to purchase supplies such as display boards, and a photo upload page for them to submit photos to you. 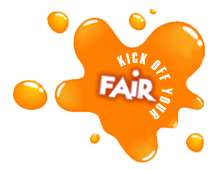 Be the hero and kick off your fair today! Q: What do I get if I use Our Science Fair? You get several things. First and foremost, you get a free website where you can publish information about your school's science fair (here is an example). The website includes pages for students or parents to sign up for your science fair, order supplies (e.g., display boards), and upload their photos. You also get the convenience of having all the student registration information in a spreadsheet-ready format so that you never have to type it in yourself. Parents get the benefit of being able to sign up and order supplies online and pay by credit card, eliminating the need for paper forms and checks. You may also use these sales as a no-hassle fundraiser for your school (or PTA / PTO). Check out our advantages to find out more. Q: This seems like a big change for our school, and I'm nervous about it. How can I be sure this won't backfire and make me look bad? Firstly, we're more than happy to chat with you on the phone. We'll answer any questions or concerns you may have and help you make the right decision for your school without pressuring you in any way. So definitely contact us if you are unsure about something. For communities where most parents already have an internet-connected computer at home, this is really not a big change for them. They will appreciate the convenience of being able to register for your science fair online rather than having to fill out a paper form. For teachers that also have easy access to an internet-connected computer, they will appreciate the ability to see all of their students' science project information (title, requirements, etc.) in a single online view rather than having to sift through 20 or 30 papers. (Of course, they can always print out the data if they prefer a hard copy.) So, in general, we believe that Our Science Fair will be a welcome and refreshing change for your school, and that you won't need to be nervous about it. Q: What kinds of schools do you work with? We work with elementary schools, middle (junior high) schools, and high schools. We work with both private and public schools. Q: How much does Our Science Fair cost? It is a completely free service, and there is no advertising anywhere on the main site or your school's Our Science Fair site. Q: Why is Our Science Fair free? It is free because we want to support a great science education for all school-aged children. We know from experience that hosting a school science fair is a great way to encourage kids to explore their world on their own using scientific methods and techniques. We also recognize that many schools have a tight budget and cannot afford to spend money on services that are seen as merely adding convenience. Therefore, we decided to make Our Science Fair free. We do not post online advertisements anywhere on our site or your school's Our Science Fair site (because we think that would be annoying). Q: It sounds like Our Science Fair allows you to collect data about our students. What are you going to do with that data? We do absolutely nothing with that data. We do not share it with anyone and we do not sell it to anyone. Please read our privacy pledge for more information. The data that your students/parents enter through your school's Our Science Fair website is yours. It is only accessible to you (the science fair coordinator) and any teachers or staff at your school. Q: What about regional or state science fairs? Currently, Our Science Fair is targeted at school science fairs. However, if you are in charge of a regional or state science fair, and would like to use this service, you are welcome to contact us directly to discuss whether we can help you. Q: What if I start using Our Science Fair, and then later change my mind? You may stop using Our Science Fair at any time, and there is no penalty for doing so. Simply remove any links from your school's main website or your newsletters that point to your school's Our Science Fair website. Q: What if our school doesn't have a science fair? Start one this year! A science fair is one of the best ways to encourage scientific exploration at an early age. A school science fair doesn't have to cost you anything, and doesn't have to be difficult or complicated to organize. If you use Our Science Fair, then a lot of the difficult parts are taken care of for you. You'll need to find out if you can use your school's cafeteria or gymnasium one evening, and you can lay out cafeteria tables for the students to display their projects. Many science fairs these days are non-competitive, so you don't even need to find judges. Q: How much money can my school raise by using Our Science Fair? This largely depends on the size of your school and the level of participation in the science fair. You can raise money by selling display boards and header boards to parents when they are registering their students. You can buy these boards at wholesale prices, and make a profit by selling them at regular retail prices. You could potentially raise anywhere from $1 to $8 on each sale. Q: What kinds of items can parents purchase on our school's Our Science Fair site? We are continually trying to improve our service by adding new items to the list. At present, we offer project display boards and project header boards. Q: What forms of payment can parents use to purchase supplies? Parents may pay for supplies by writing a check to your school or PTA/PTO organization. If your school or PTA has a PayPal account, parents may also pay online using any major credit card. Q: If parents pay for supplies by check, who do they make the check out to? The checks should be made payable to your school or your PTA/PTO organization that is running the science fair. You will process those checks and deposit them into your own account. Our Science Fair will deliver the supplies to your school for you to distribute to the students. Then, once your science fair event has taken place, Our Science Fair will send you an invoice for the amount that you owe to pay for the supplies (the base price). Q: If parents pay for supplies by credit card or PayPal, who receives the money? In the case of a credit card or PayPal transaction, the funds go directly into your PayPal account. PayPal takes a transaction fee out of every transaction though, so keep that in mind. Q: Who supplies the science fair display boards? You do! Our Science Fair formerly used to supply boards, but we no longer do that. Now you are responsible for finding your own wholesale science fair supplier. There are many to choose from ... just search for "science fair display boards" on the internet. Q: What if our school already has a website? Perfect! After you create your Our Science Fair account and website, you should add a link from your school's main website to your Our Science Fair website. 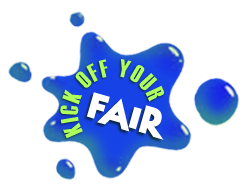 That way, students and parents will be able to easily find information about your science fair and register for it. Q: What if our school already has its own science fair website? Many schools already do, and this is fantastic! Use your existing science fair website as the main site where students and parents go to get all kinds of information about your science fair. Then add a link or button labeled "Register for the science fair!" from your site that leads to the registration page on your new Our Science Fair website. Q: How customizable is our school's Our Science Fair website? Most aspects of your Our Science Fair website are customizable. You can customize the banner image that shows up at the top of each page. Typically this banner image would show your school's logo or a photo of your school. You can also customize most of the text that shows up on each page of the website. You can also customize the sales price of each item as well as delivery options and payment options. But the best way to find out what's possible is simply to create an account and play with it yourself! Q: I still have more questions. How can I get answers? We are very willing to spend time answering all of your questions. You can email us or call us using the information on this page.